As part of the world’s largest humanitarian movement, Red Cross has helped the most vulnerable people in Australia for 100 years. 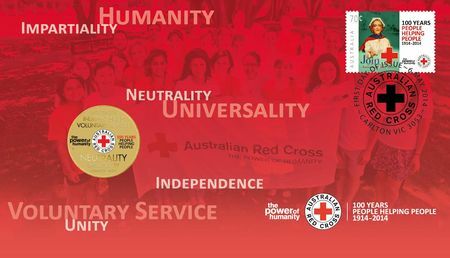 With a proud history of neutrality and impartiality, the organisation has been part of the fabric of Australian life – whether it’s their immediate response to natural disaster or everyday work to support people in crisis. The uncirculated aluminium bronze coin is housed in a beautifully designed card with a circular window revealing the coin’s reverse and obverse designs. 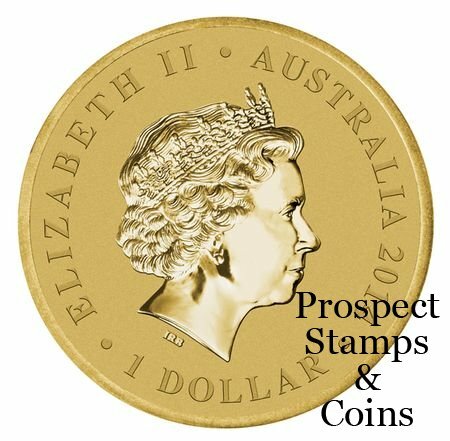 This beautiful Stamp and Coin Cover will make a superb gift or collectable. 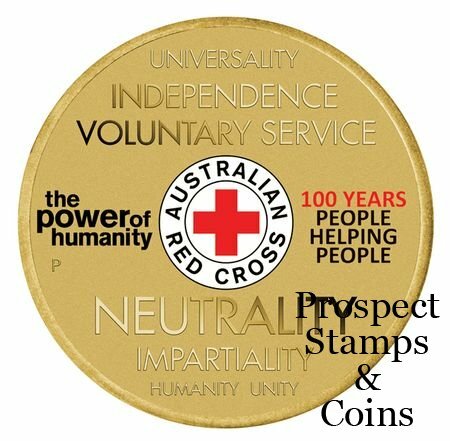 The coin’s reverse features the seven fundamental principles of the Red Cross and Red Crescent movement that guide the staff, members and volunteers in their activities. These significant words surround the official anniversary logo.